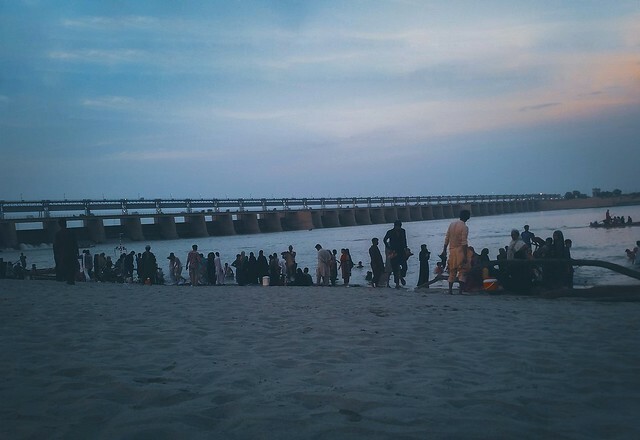 Kotri Barrage is a barrage on the Indus River between Jamshoro and Hyderabad in the Sindh province of Pakistan. The barrage was completed in 1955. Kotri Barrage is used to control water flow in the River Indus for irrigation and flood control purposes. . | Flickr - Photo Sharing! Kotri Barrage is a barrage on the Indus River between Jamshoro and Hyderabad in the Sindh province of Pakistan. The barrage was completed in 1955. Kotri Barrage is used to control water flow in the River Indus for irrigation and flood control purposes. .
Mittchio and HotShot4Life added this photo to their favorites.